There are 8 Commonwealth War Graves in Rothley Cemetery plus one designated a War Grave only in 2012. 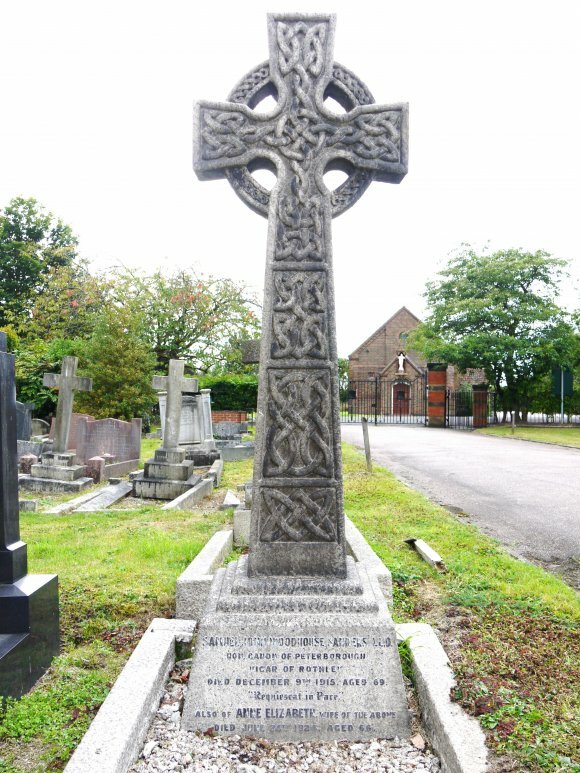 This latter gravestone is in the form of a Celtic cross erected by the family, not a Commonwealth War Grave. 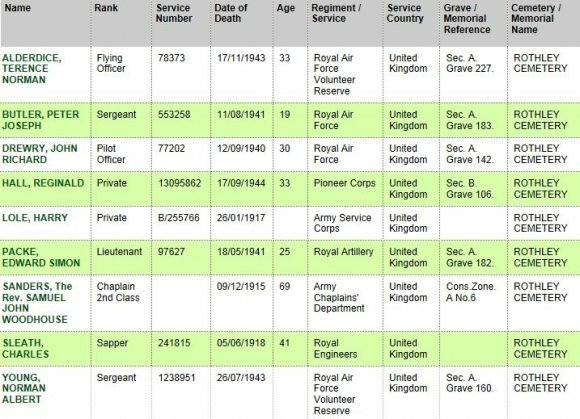 7 of these men are listed on the Cross Green War Memorial and other memorials but no mention of Pilot Officer John Drewry or the Rev. Sanders. Rothley' vicar, Canon S.J.W. Sanders was a former Headmaster of Northampton Grammar School. He was the Hon. Chaplain to the Leicestershire Regiment. His headstone was the one designated a War Grave in 2012.